A tool for removing oil trapped in submerged vessels was developed in Norway by Miko Marine. 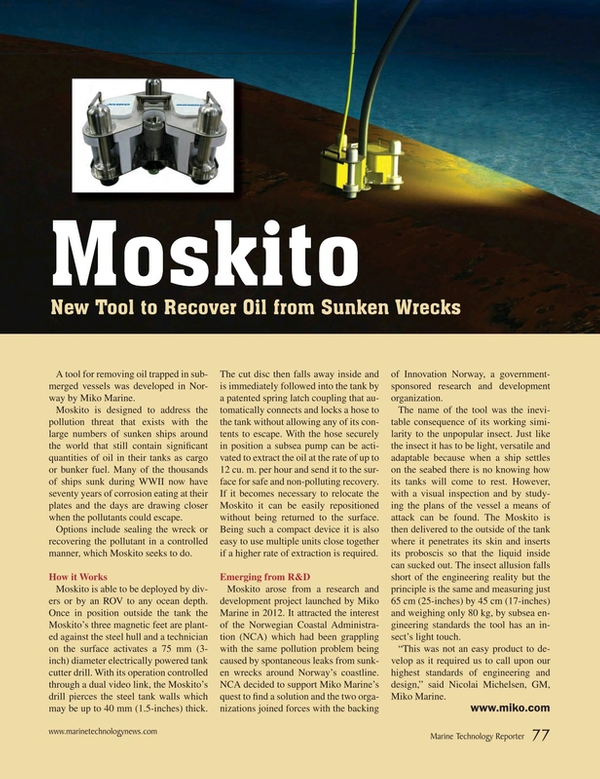 Moskito is designed to address the pollution threat that exists with the large numbers of sunken ships around the world that still contain significant quantities of oil in their tanks as cargo or bunker fuel. Many of the thousands of ships sunk during WWII now have seventy years of corrosion eating at their plates and the days are drawing closer when the pollutants could escape.